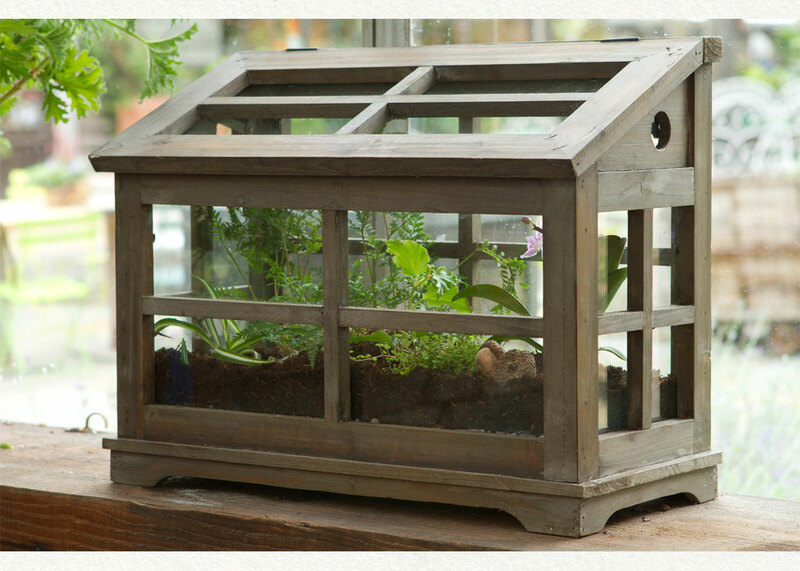 Whether you use a closed glass container, wood and glass box, or even a simple mason jar…you can build a terrarium in just about anything you choose! I picked up a few square glass vases at a thrift store and decided to build a terrarium grouping. I purchased an assortment of succulent plants and some sphagnum moss…I already had the white rocks left over from another project. Put at least an inch or two. This is important for drainage since the glass containers do not have a hole in the bottom. The rocks allow the plant to sit above any standing water so their roots will not be constantly wet. The moss acts as a filter for the draining water…holding the soil in place so it does not blend into the layer of rock. I chose to skip the step of adding a layer of de-activated charcoal since my containers are open. Many tutorials suggest adding charcoal after the moss if you are using a closed container, to help absorb moisture and odor. I love the different shape and texture of each type of plant. Since my containers were fairly small…I grouped a couple of plants in the larger ones and used only one lone succulent in the smallest glass vase. Have you ever tried making your own terrarium? How do you like to use natural greenery and living plants in your home décor? I haven't made a terrarium in forever. Those are cute. Love them in a set of 3!